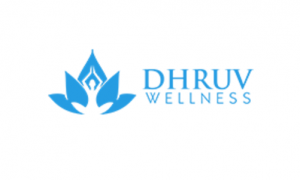 Dhruv Wellness is in the business of wholeselling and distributorship of general, pharmaceutical and cosmetic products. Our Company also functions as a stockist of medical, general cosmetics and pharmaceutical products. On January 1, 2016, our Company acquired the business, all the assets including debts, stock, stock-in-trade, movable plant and machinery, trade-marks, designs, patents and licenses and all credits etc. of Dhruv Agency which was in a market for about a decade and had been promoted by our promoter director, Ms. Anita Prajapati in the year 2005 resulting into reaching the next level in short span of time. The Proprietorship firm having agencies of various renowned agencies was engaged in the business of wholeselling, and distributorship of general, healthcare, pharmaceutical products and cosmetic products etc. On February 11, 2017, our Company had entered into an agreement with M/s. Savita Health Care to manufacture Ayurvedic pharma preparations as listed below on our behalf on "Procure to Pay" ("P2P") basis and for which license had been granted by Office of Asstt. Drug Controller, Dadra and Nagar Haveli to Savita Health Care for manufacturing following items under license no. DNH/AYV/47. Dhruv Wellness IPO allotment status is now available on Purva Sharegistry's website. Click on this link to get allotment status.